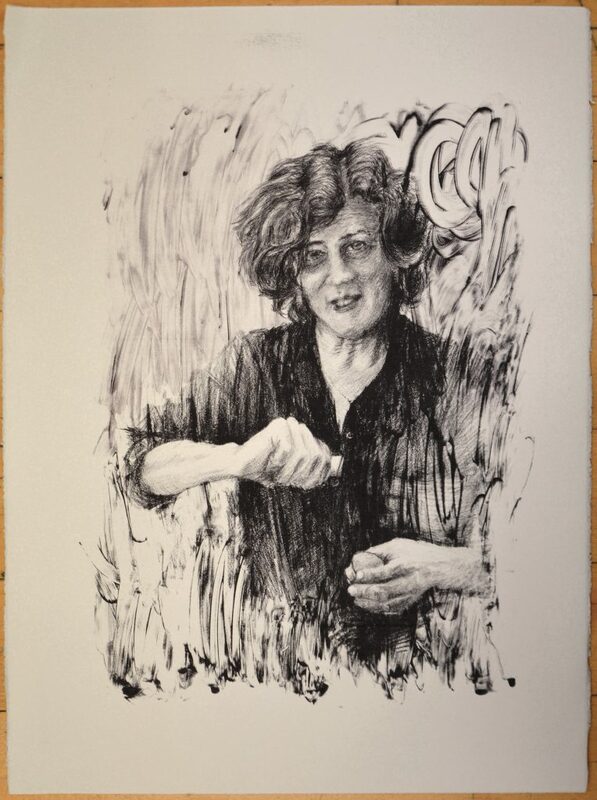 Here are 3 printed portraits I have been working on since visiting the Rembrandt Huis in Amsterdam. ‘With a seventeenth-century inventory as a guide, the house has been meticulously refurbished with furniture, art and objects from that time. 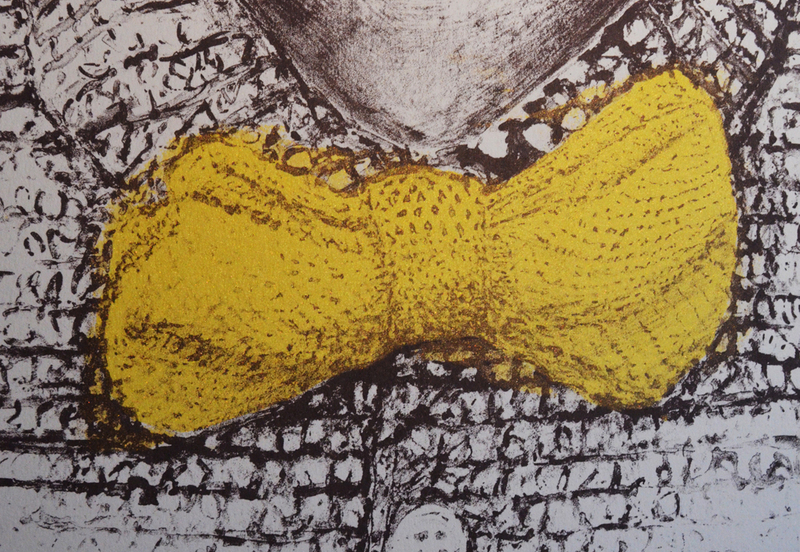 The museum has an almost complete collection of Rembrandt etchings and stages inspiring exhibitions about Rembrandt, his predecessors, contemporaries and pupils. The Rembrandt House Museum is also a venue for exhibitions of work by contemporary artists—artists who have been inspired by the work of Rembrandt, their seventeenth-century predecessor.’ I wholly recommend visiting the Museum . These three people made my visit an inspiring experience by their enthusiastic, practical and knowledgeable demonstration of the great master’s life and work. I especially warmed to the focus on Rembrandt’s Printmaking studio. Thank you. I have drawn and printed these portraits using a mix of media to reflect the possibilities of drawing for silk screen printing. The Pigment mixer is drawn with graphite on a ground of finger spread dried silk screen ink and then printed in two colours on Fabriano paper. 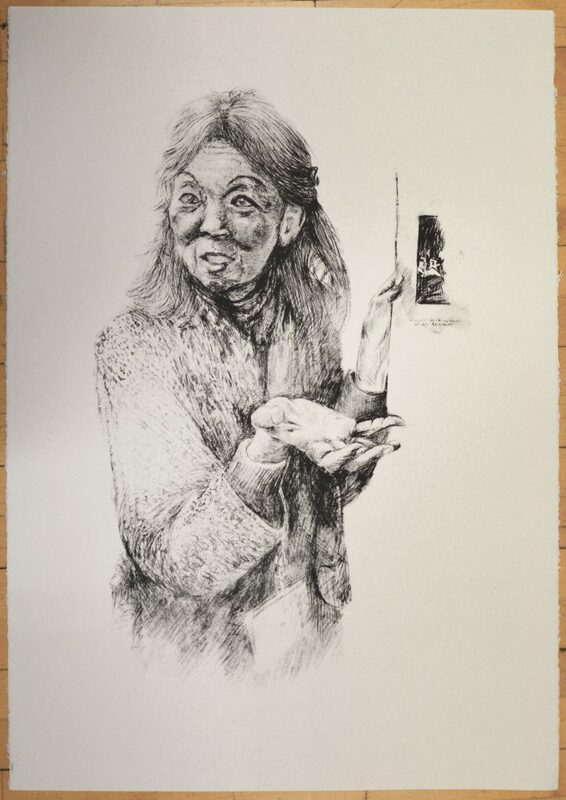 This Huis guide’s portrait is drawn with a litho crayon on glossy film and single colour silk screen printed on Fabriano Tiepolo paper. None are etchings that were so wonderfully demonstrated in the first floor originally used by Rembrandt to print his etching himself. 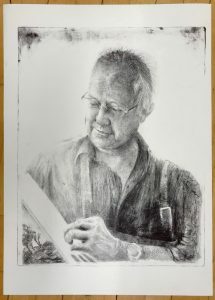 The etching portrait is drawn with graphite and single colour silk screen printed on Somerset satin paper.